I am an experienced Ofsted registered Childminder in West Clandon offering 30 hours nursery education. I may be able to offer a collection and drop off between my home and Merrow / Burpham if this fits in with my other obligations. I accept childcare vouchers and live in a quiet cul de sac with plenty of parking. I presently have limited spaces but there will be more availability during September 2019. I have a lovely large garden as seen in the photo for the children to play and observe wildlife such as wild rabbits, pheasants and birds. There is a field at the back and some lovely areas for walking from my home past horses grazing, and a local shallow stream for paddling. As well as interesting and varied activities your child will have a quiet place to rest or sleep. I love working with babies and children and enjoy being part of their upbringing to help them flourish as well balanced, caring and educated young people. To achieve this we undertake the full range of activities from indoor and outdoor play. I have toys available to suit all age ranges, some of which are educational to prepare your child for school. As well as walking in the local area we go on outings in the car to play groups, Wisley, garden centres and Cherry Trees soft play in East Clandon. During these outings your child will have the opportunity to make new friends with other children, some of which we see on a regular basis and invite back to my house to play. Within my setting your child will have a varied, and happy day playing with other children within their age range. I have been childminding full time since 2005. Most of those who come to me tend to be pre-school age - typically arriving at 9-12 months (when mum goes back to work) and staying until they start school aged 4-5 yrs. I often continue to see the children who have started school during the holidays. It is great to see them come back to play with the friends they had made during their time with me. As a teenager I did voluntary work at a local school with a view to becoming a teacher, (but ended up doing something completely different!). I now hold additional CRB certification (separately from my childminding CRB certification) in order to help out with various activities at my son's school, when time allows. I hold a current "good" rating from Ofsted. I have also completed a cache level 3 NVQ certificate in children's care,learning and development. I am an accredited network childminder, registered with the local authority and I can therefore draw free nursery education. I keep fully up to date with the latest thinking on childminding best practice, including first aid training and certification. I have achieved the quality assurance certification to maintain high standards in care and education. My core hours are between 8 am and 5.30 pm except Fridays when I would prefer to close earlier. I have to be available for my son's school run to Merrow which means I'm out of the house between 8.10 am and 9.00 am, and usually between 3.00 pm and 3.30 pm. Parents can drop off and pick up with me before or after these times or I can pick up your child from home. £6.50 per hour between 8 am and 5.30 pm Monday to Friday. £5 fee for pick up or drop off from or to child's home. 30 hours subsidised nursery education per week for 3 year olds. Below are the latest reviews for Alison_. Please note that reviews represent the subjective opinions of other Childcare.co.uk users and not of Childcare.co.uk. Parents must carry out their own checks and references on childcare providers to ensure that they are completely happy before enaging in the use of their services. The best childminder you'll find! Alison is a wonderful childminder. Having had a couple of negative experiences with nurseries and nannies with our daughter, we were very cautious about finding the right home-from-home environment for our son. From the moment we met Ali we knew she was the right person to look after our little boy, providing a very safe, nurturing and quiet environment. We haven't ever had any doubt in our mind that he isn't happy or being looked after at all times, which has been hugely reassuring. Ali not only provides a lovely home environment for the children but she takes time to think about creative activities and crafts for the children to do, as well as ensuring they enjoy daily outdoor activities and walks too. Our son was very quiet and shy when he first started at Ali's but soon made good friends with the other children who are all lovely and it's been a joy to watch him come out of his shell. It's clear to see he trusts Ali completely and has developed a special friendship with Ali's son which is very sweet. Ali also takes the time to make nutritious, home-cooked meals for the children and ensure they follow good hygiene practices. Ali keeps us updated frequently through the online portal on activities during the day as well as his developmental stages. We wouldn't hesitate to recommend Alison to anyone looking for a wonderful, homely and loving environment for their child. We are so delighted to have found a childminder as wonderful as Alison. Our little boy (who is almost 2 now) has been going to Alison’s since he was 14 months old, and he absolutely adores his days there and all of the lovely friends he has made too. For my husband and I, it was an emotional and daunting time settling our son into a brand new routine of childcare when I returned to work, but Alison helped to make the whole experience a lot easier for us all. Our son quickly settled with Ali and made some lovely friends there. The children do wonderful activities each day such as soft play, arts and crafts, imaginative play, outdoor play etc. Ali keeps us updated with his progress each day via a fantastic app, where pictures and videos are uploaded and Early Years Foundation Stages are identified. We are very grateful for everything Ali does and highly recommend her! Our little girl LOVES going to Alison's! Our 3 year old has been going to Alison's for 12 months now and has grown & learnt so much. Alison is great at keeping you up to date with activities as she uses an online notification app which links the child's learning to the early years foundation stages. Alison does so much with them, they get taken to soft play, playgroups, wisley & little walks around the area which is fantastic. Our daughter has made some lovely friends and runs to the front door each day I drop her off! I would throughly recommend Alison. I am a full time working mother with two children. Both times I have relied on nurseries for early childcare. For my second child, I was keen to try a homely atmosphere and I was very lucky to find Alison. Alison is a friendly, pleasant and approachable person. My daughter has thrived in the caring atmosphere and we have noticed a big difference in her development and skills since being with Alison. She is also very efficient, hardworking and flexible. This is very important in a busy working life and she is often willing to go out of her way to help and negotiate things. She truly is interested in her profession and cares for the children with passion. I have found all the children in her care happy, cared for and disciplined. She cooks amazing nutritious balanced meals for children and my daughter now eats vegetables happily (much to my relief). It has been a great pleasure to have Alison in our lives and I would highly recommend her to anyone looking for quality child care. Our 3 year old daughter started with Alison 7 months ago and has attended 2 days a week since. We have certainly noticed she has grown in confidence and her interaction with others has become second nature. We cannot recommend Alison highly enough. We found her extremely competent, contentious and trust worthy. This is our only daughter so we were quite apprehensive about leaving her with someone we did not know. However we were very soon put at ease. 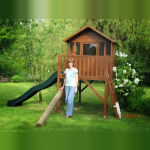 Alison updated us every day with her activities and progress including photos and emails. It was evident how much our daughter enjoyed being with Alison. Every time we went to drop her off, she became very excited, and from the moment we picked her up she would talk about her day all the way home. Alison is very professional and works with you and your child to develop their skills and yet maintains a very personal approach. We would like to thank Alison and her family for looking after our daughter. We highly recommend her and would not hesitate to use her again in the future.